After we saw the inspiring rescue of Sunder, an elephant who was abused for years and then finally moved to a sanctuary, we thought things couldn't get any more heartwarming. And then came Raju -- an elephant who wept as he was freed from chains that held him for 50 years. Now, the plight of other elephants who live in conditions like Sunder and Raju is coming to the forefront. There are many elephants living in substandard conditions and one of the most in need of help is Nosey. Captured in Zimbabwe after her parents were killed, Nosey has spent the last two decades at the Liebel Family Circus in Florida, a traveling circus owned by Hugo "Tommy" Liebel that has a terrible reputation. Liebel, who also owns and exhibits a spider monkey named Reggie, has received almost 200 citations from the U.S. Department of Agriculture for violations of the Animal Welfare Act since 1993, some concerning Reggie and some for Nosey, who is about 32 years old now. 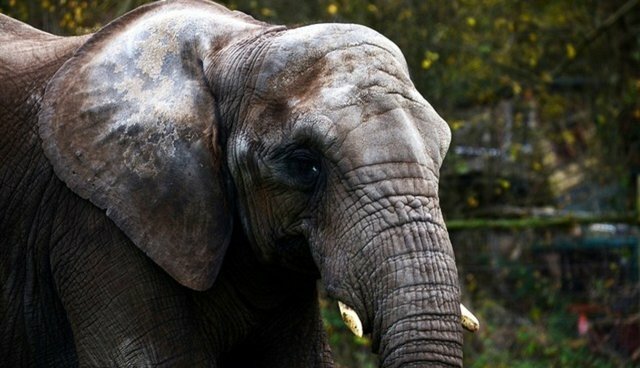 But there is hope for Nosey -- if the U.S. Department of Agriculture were to revoke Libel's permits to exhibit her, she could be moved to one of the U.S.'s two accredited elephant sanctuaries -- the Performing Animal Welfare Society in California and the Elephant Sanctuary in Tennessee. You can sign a petition urging the USDA to revoke Libel's permit to exhibit Nosey -- and to move her to an accredited sanctuary -- here. You can also email the USDA Office of Inspector General at OIGOmbudsman@oig.usda.gov to urge them to investigate the USDA Wildlife Services for letting Liebel keep Nosey. Nosey the elephant has been abused, chained and isolated for decades while at the Liebel circus in Florida, despite several Animal Welfare Act violations cited for her owner, Hugo "Tommy" Liebel. Join The Dodo in calling on the USDA to revoke Liebel's permits to exhibit Nosey, and move her to an accredited sanctuary.